From outdoor activities to indoor competitions, from museums to lovely restaurants, Salina, Kansas boasts all the amenities you can imagine. And from a sports tourney director’s perspective, this little city is close to perfect. It has a host of facilities, including the 6,500-seat arena at Tony’s Pizza Events Center and 65,000-square-foot Salina Fieldhouse. These are great for most indoor sports, while ECRA, Bill Burke Park and Dean Evans Stadium make Salina a baseball haven. Event planners will also want to stop by Salina’s premier soccer facility, Magnolia Soccer Complex. This venue has five full-sized regulation fields and numerous added features. Baseball fanatics, soccer players, volleyball enthusiasts and any other sports fan will love a trip to Salina, where it’s fun to host an event, compete in a tourney and explore the town. There is plenty to do during a break in the action. 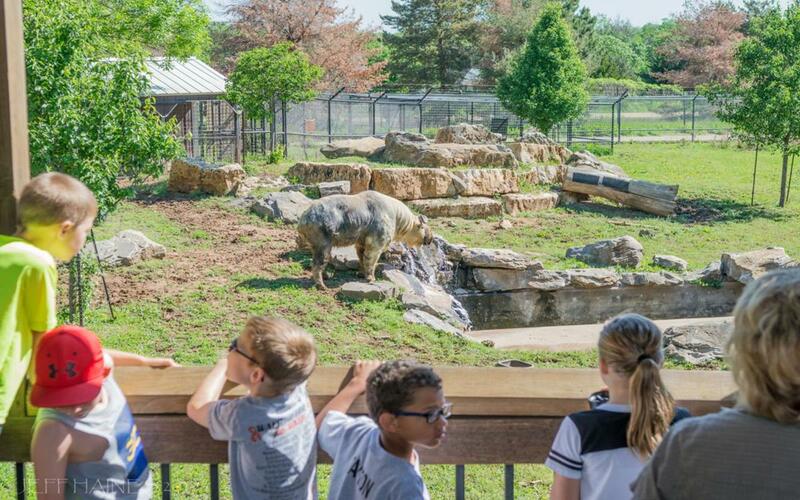 In addition to excellent sporting facilities, Salina is home to an engaging zoo and wildlife museum, a historic downtown shopping district, more than 85 restaurants and 2,100 lodging rooms. And you’ll notice a strong arts presence throughout the community. Popular attractions include the Rolling Hills Zoo and Wildlife Museum, Kenwood Cove Aquatic Park, All Star Lanes bowling alley, Salina Art Center & Cinema, Jumpin’ Joes Family Fun Center and Starlight Skate Center. Beyond local venues, tourists enjoy a slew of annual events, like the Smoky Hill River Festival. This progressive community blends big-city opportunities and a small- city feel to create a great place to live, work and especially play. It’s been our goal over the years to grow this VIP Series tournament, and we’re excited that we’re seeing that growth. Not only Kansas teams, but also teams from MO, IA and NE are participating. 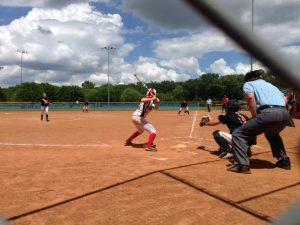 Our tournament is as big as a “metro” tournament, and we’re starting to get noticed by other ASA organizations. As it should be, this will place Salina on the map. Salina has great hotels, restaurants, shops, attractions and, of course, people that support us. We like working with Salina Parks & Recreation, Optimists Club, local KS ASA umpires and Visit Salina staff. We feel our relationship in Salina is strong and we’d like to continue to grow the Salina tournaments. We believe Salina is a great fit for this event. Central location, diverse lodging accommodations, abundant dining options and various attractions will certainly provide our participants and guests with a great weekend full of fun activities. And, of course, the highlight will be playing in the NEW Salina Fieldhouse. There’s something about playing in a brand-new place that stirs up excitement. 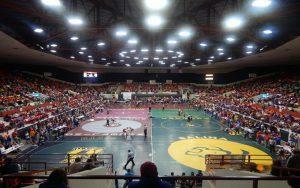 The people of Salina and the city continue to welcome the KSHSAA member schools, athletes and fans each and every year. We look forward to great hospitality from a welcoming community. Tony’s Pizza Events Center completed a $13.1 million renovation in the summer of 2016. The center features a 30,000-square-foot, 6,500-seat arena and can accommodate basketball, two courts for volleyball, wrestling, rodeos, concerts, conventions, trade shows and much more. 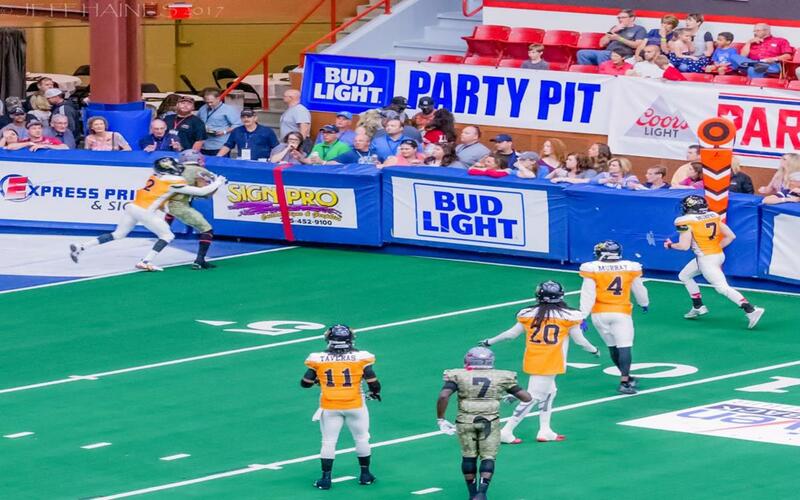 It is home to the Salina Liberty indoor football team, Salina Sirens roller derby team and the Salina Saints ABA basketball team. Additionally, the complex features Heritage Hall, which offers 20,000 square feet of column-free space that can be halved or quartered to your specifications. This space can accommodate 2,000 people with staging and seating or host a banquet for up to 750 people. It also offers in-house catering that can accommodate a variety of culinary needs. Eight rooms above the lobby at Tony’s Pizza Events Center are perfect for meetings, luncheons, training sessions and seminars. The rooms can be utilized individually, hosting up to 50 people in each or combined to form two rooms large enough for a group of 200. Each room contains screens and projectors built into the ceiling. Audio and visual aids can be synced to play in each room or separately. Salina’s newest facility is indoor and located in the downtown area. Completed in the summer of 2017, this 65,000-square-foot facility features several multi-purpose surfaces, including hardwood, synthetic and turf. Three hardwood and three Tarkette basketball courts can be cross-lined to accommodate eight volleyball courts, an indoor regulation soccer field or three smaller fields. The facility will also contain drop-down batting cages and pitching tunnels. 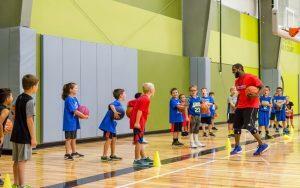 The Fieldhouse will host league play, tournaments, team practices, camps and clinics in multiple sports. Local, regional and potentially national youth events will be a perfect fit for this venue. The turf surface will accommodate sports such as soccer, football, kickball, baseball, softball, and field hockey, and the court surface, basketball, volleyball, futsal, dodgeball, cheer and dance. Bill Burke Park is Salina’s main youth softball and baseball complex. It features eight baseball and softball diamonds, five lighted and three unlighted. The complex also features a playground, bike path and concession stand. The park includes six multipurpose fields used for soccer and football practices. Other amenities include two picnic shelters with grills. Dean Evans Stadium is Salina’s premier baseball facility. The covered stadium has seating for approximately 800 and a new digital scoreboard. It is located near East Crawford Recreation Area, Bill Burke Park and Salina Soccer Complex, which combined feature 16 lighted diamonds and 12 soccer fields. Dean Evans is used by many baseball clubs around Salina, including Kansas Wesleyan University, U.S.D. 305 and American Legion clubs. 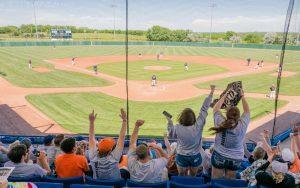 The complex also hosts the KSHSAA 4A Division I State Baseball Championship and semi-professional baseball. The playing surface of Dean Evans is second to none for those who like the nostalgia of real dirt and a real grass infield. Complete with a tarp, the field stays busy from May to early August. 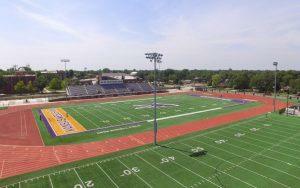 Kansas Wesleyan University, home of the Coyotes, features Mabee Arena and Graves Family Sports Complex. Opened in 2008, Mabee Arena has seating for up to 1,500 and hosts several NAIA sports, including basketball, volleyball, cheerleading and dance. In 2015, KWU welcomed Graves Family Sports Complex to its campus. 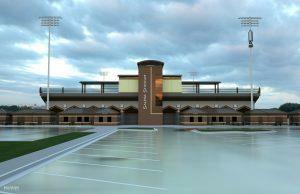 The complex includes Bissell Field, with a stadium for football and soccer, a complete track and practice field. Magnolia Soccer Complex is Salina’s premier soccer facility. The complex features five full-size lighted regulation fields, a playground, restrooms, concession area and plenty of parking. Magnolia Soccer Complex is host to both youth and high school soccer leagues and tournaments. It has hosted the Mid-Kansas Challenger Cup Tournament the past two years, attracting more than 60 teams to the two-day event. Salina Stadium is located on the campus of Salina High School Central. The 7,000-seat turf facility is home to Salina High School Central and Salina High School South’s football, soccer, and track and field teams. In 2016, Salina Stadium began a three-year renovation plan. Also in 2016, the turf and scoreboard were replaced. In 2017-2018, the press box will be upgraded and the seating will be renovated. Additionally, in 2018 the concession stands and restrooms will be renovated to make Salina Stadium one of the region’s top places for sporting events. Kansas State Polytechnic is home to the popular Student Life Center, which opened in 2009. A hub of student life, the facility is home to sports clubs and community events. It includes a full-size basketball court, cardiovascular area, free weights, racquetball/handball court, aerobic/fitness area, indoor running track, student lounge and pool table. 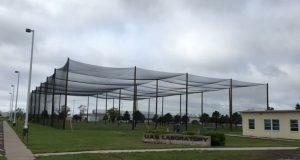 The school also features an outdoor Unmanned Aircraft Systems (UAS) practice facility, opened in 2015. The facility allows drones to be flown in all weather conditions within a large but contained space. Kansas State Polytechnic is one of the few universities in the country to offer a bachelor’s degree in unmanned aircraft systems. Salina is located in the center of the U.S. at the crossroads of Interstates 70 and 135. It is essentially in the middle of the country and can be accessed in a variety of ways. By Car: I-70 and I-135 (US 81) both act as prominent arteries for Salina, while Highways 143 and 140 run through the city. I-70 connects to Kansas City and Denver; I-135 takes visitors to Wichita and York, Nebraska. By Air: Salina Regional Airport is served by Great Lakes Airlines with multiple non-stop flights between Salina and Denver International Airport. Dwight D. Eisenhower National Airport (Wichita) is only a 90 minute drive from Salina. Kansas City International Airport is 184 miles to the east, less than a three hour drive.